The flammulated owl. Thanks to ScareCrow, I now know that “flammulated” means having flame-shaped markings. I’m not really sure to what that refers, though. Oh well! 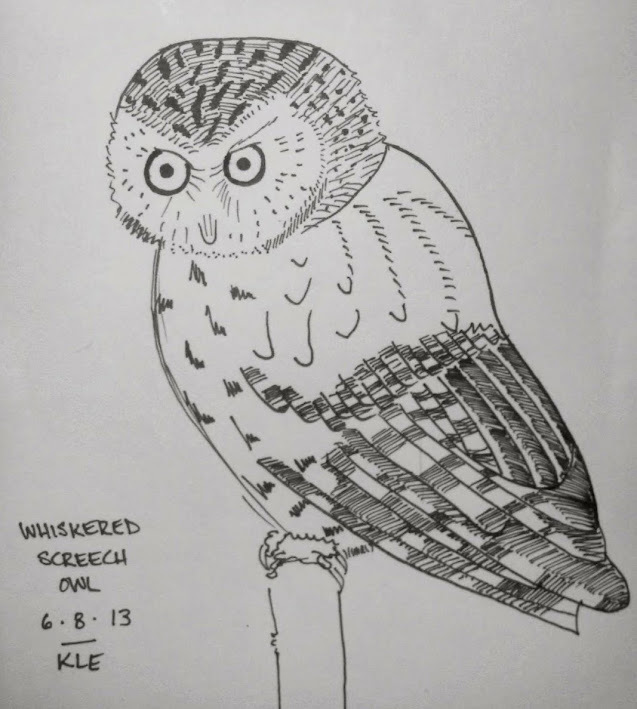 This is a Whiskered Screech Owl. I learned recently that the ABA (American Birding Association) standard is to capitalize bird names. So that when you say you saw a Yellow Warbler, people know you mean a legit Yellow Warbler and not just a warbler that is yellow. Because most warblers have yellow bits. I see yellow warblers ALL the damn time but not necessarily Yellow Warblers. Y’know? 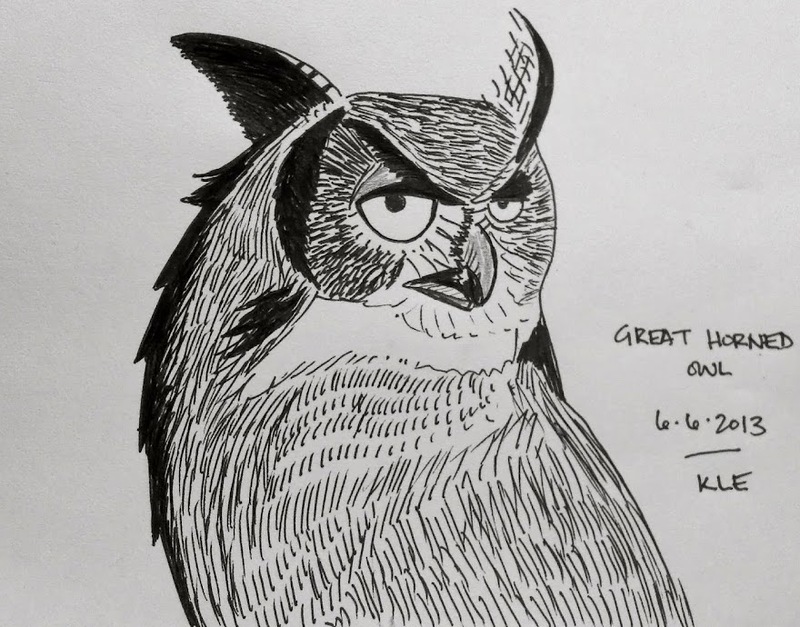 Anyway so now you know that the sketch above portrays a Whiskered Screech Owl and not just any ol’ noisy, moustachioed owl. 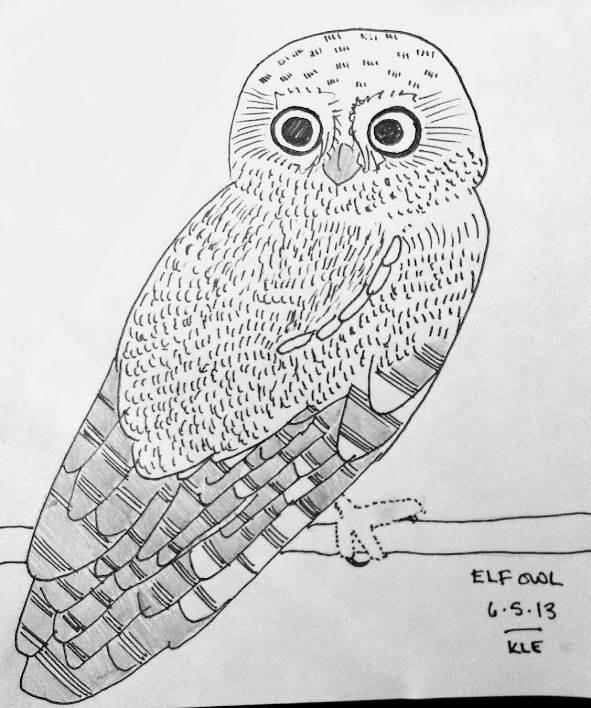 This is an Elf Owl.